“More than the eye can see, or even guess at”, is the motto of traditional German company Bresser GmbH. For nearly 60 years, Bresser has been offering telescopes, binoculars, spotting scopes, telescopic sights, night vision equipment, microscopes, magnifying glasses and outdoor articles - such as game cameras and weather stations - worldwide. Its extensive product range, including many well-established product series, enables Bresser to constantly implement new innovative ideas and to ensure a high quality control. The Bresser company was founded in 1957 by Josef Bresser. 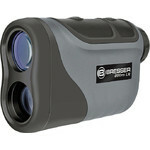 At first, the company specialized in the import and sale of binoculars. After Josef Bresser’s death, his son Rolf Bresser took over the company in 1979. His main focus was on the technical development and design of new, innovative optical products. 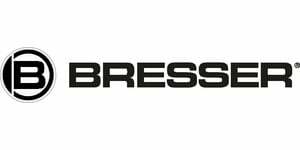 Today, Bresser is one of the leading suppliers of optical products in Europe, making it one of the largest in the world. As part of the JOC Group, Bresser has development, production, sales and marketing all under one roof. This structure is particularly modern and is a promising model for the future. Hardly any other company in the industry can claim to be as diverse as Bresser. Beginners and professionals, young and old find it equally useful. This is also a clear brand concept. Of course, the in-house brand of Bresser is particularly outstanding. It offers an extremely extensive product range and is internationally renowned for high quality, reliability and excellent value for money. Of particular note are the computerized Messier series telescopes. A small hand-box allows astronomical objects to be located and slewed to at the touch of a button. It’s that easy! Stars, planets, galaxies, nebulae and star clusters that are invisible to the naked eye can be found in special wide-angle eyepieces. The range on offer is impressive: You can select between more than 100 options regarding the optical and mechanical components. They are suitable for both the absolute beginner and the more experienced amateur astronomer - even up to the level of equipment used in public and private observatories. The right binoculars for every observer. More than 100 binoculars and spotting scopes, in 10 categories, meet almost every requirement of amateur and professional observers. For example, the top series Bresser Montana has received very positive international ratings from renowned specialist journals. Seeing in absolute darkness: not just proven in the 30m long test tunnel at Bresser’s headquarters in Rhede. Whether camping, night hiking, hunting or in a security environment - night vision devices are in use everywhere. Bresser has always provided exclusive microscopes - but never such an extensive range as is available today. Bresser has also diversified beyond its range of optical equipment. This includes various wildlife cameras, which use motion sensors to automatically photograph wildlife both day and night. Radio- and remote-controlled weather stations have also been an important part of Bresser’s product range for several years.